Combine the milk and kesar in a small bowl and mix well till the kesar dissolves. Keep aside. 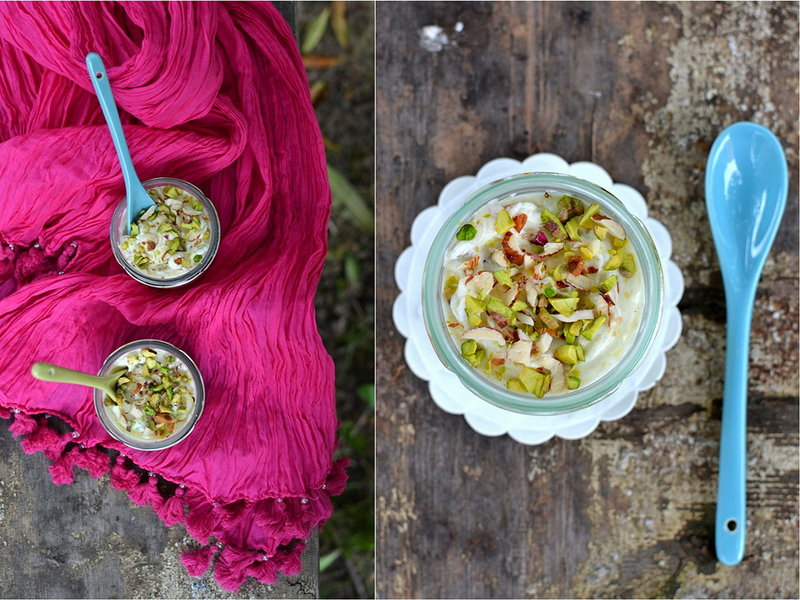 Combine the dahi, kesar-milk mixture, sugar substitute and cardamom powder in a bowl and mix well using a whisk. Just before serving, mix the fruits, chopped nuts and shrikhand. 2 cups of low-fat curds, when tied in a muslin cloth and hung for 1½ hours, will yield 1 cup of hung low-fat curds. 1 katori as mid morning or evening snack is recommended. Enjoy shrikhand occasionally.